International wine sales at the three main auction houses look set to reach a record $200 million in 2010 as Asia’s thirst for fine French vintages pushes up prices. The total at Sotheby’s, Christie’s International and specialist auction house Acker Merrall & Condit will likely be double last year’s figure, as Hong Kong becomes a global hub of the market. 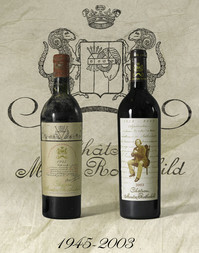 Demand from China and other countries in Asia is strongest for trophy-label red Bordeaux.